Founded in 1845, University College Cork (UCC) is one of the oldest universities in Ireland. It combines a rich tradition of teaching, research and scholarship with a view to responding effectively to the needs of a global society. Today University College Cork has grown to almost 16,000 students including some 13,000 undergraduate students and some 3,000 students pursuing postgraduate programmes up to PhD level. In 2011 University College Cork chose Enerit ISO 50001 software to implement their energy management programme with the aim of both reducing their energy consumption and bills along with achieving certification to the international standard in energy management ISO 50001. Develop systems to improve energy performance. UCC, like most universities has a vast and varied building stock. Buildings range in age from tens to hundreds of years old and also vary in size and use. UCC’s running costs are mainly for providing heating and lighting with some specialized processes. ISO 50001 Compliance– UCC decided to partner with Enerit, because the software uniquely covers all aspects of the ISO 50001 standard (management and technical) including: significant energy users, energy saving opportunities, energy actions and planning, corrective actions and audit management. Enerit software converts this energy information into dynamic integrated action plans for UCC’s energy management team to work together in driving down energy costs. Transparency– The software brings transparency of the energy management system and plans; for example, senior managers can view the universities energy management system by securely logging into the software. For UCC, this has helped achieve Buy-In from University Management for various energy projects proposed to be undertaken by UCC’s energy team. Systematic Energy Management– Enerit ISO 50001 software allows UCC to run a systematic energy management programme throughout the entire University. 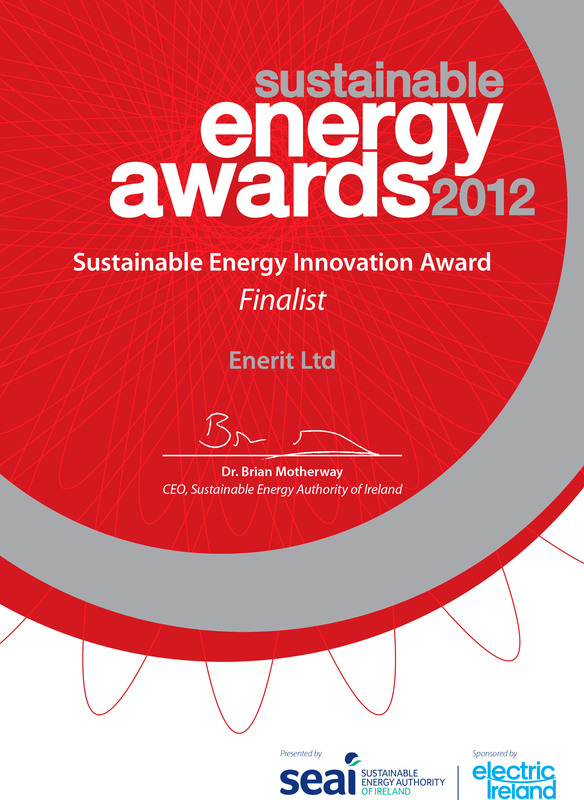 Enerit software deals with ALL energy information e.g. processes, compliances, audits in one integrated system. The software has brought UCC beyond just the traditional energy focus on technical matters by enabling the university to save additional energy through better organization and human behaviour improvement. Monitoring of Objectives & Targets– UCC’s key users can monitor the progress of the Universities energy performance and energy actions including their own actions. The software provides instant visibility of objectives and targets and management of improvement opportunities to meet these targets. It lets UCC track progress towards their targets based on estimated and actual energy savings. Its integration into our existing energy management activities was very straightforward. We now have a very clear and systematic view of our energy management activities and the progress we are making. The software significantly improves and simplifies the everyday operation of the energy management system across such a diverse range of buildings and uses. Fully Integrated– Enerit ISO 50001 software is a fully integrated low cost cloud based internet software. It is available at all times from any browser from any location worldwide using a secure username and password. UCC’s outsourced energy consultant continues to remotely monitor the UCC EnMS. The certification process was also streamlined by providing the certification body auditor access to the Enerit software system remotely allowing for initial audit assessment to be carried out without the need for additional travel and time costs. Rapid EnMS Implementation– Due to the UCC EnMS being available online it is easily accessed by its end users, resulting in the efficient and effective implementation of the ISO 50001 EnMS and more importantly actions getting started immediately and completed faster. As a result of implementing an ISO 50001 energy management system using Enerit software, UCC have identified and continue to identify and manage many energy saving opportunities. UCC became the First University in the World and also the First Public Sector Body in Ireland to achieve ISO 50001 certification. This feat was achieved in just 4 months with the help of Enerit ISO 50001 software. This increased profile has resulted in additional support from UCC senior management, staff and students. Natural Gas reduced by an estimated 8% (after weather factors are taken into account). The University said they have been impressed by the new savings opportunities they have identified, many at low cost through the ISO 50001 approach and the use of the Enerit ISO 50001 software. UCC estimate that in the first year, they will achieve annual savings of 5.5% in electricity consumption and 8% in gas consumption. Projected annual cost savings of €212,955 will result in significant return of investment on these low and no cost actions and the investment in the Enerit software. I am drawn to the unique features in the software such as the workflow and action planning aspects. These features help to ensure excellent energy management practice throughout an organization. The Energy Planning and Action management features of the software moves users from more traditional paper based/spreadsheet systems to real-time dynamic actions following an ISO 50001 based workflow with M&V steps included in the process.